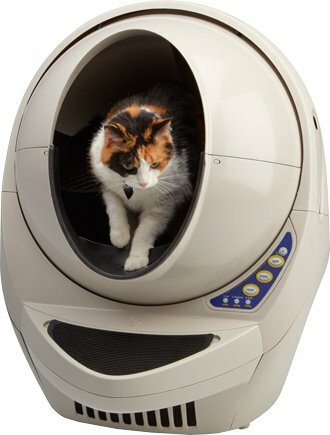 Automatic litter boxes are definitely popular nowadays when it comes to caring for your cat. 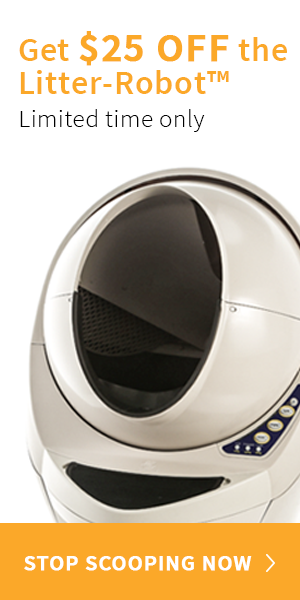 Read my post on the best automatic litter box. As us cat owners know, some cats can be picky or skittish though. You might buy an automatic top entry box and suddenly your cat won’t use it! 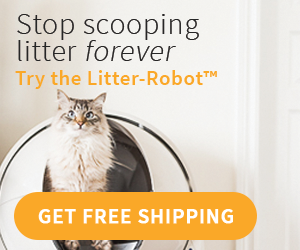 Before you buy one of these, or if you’re staring at an unused one right now, take a look at the best ways to convince your cat to use it. You can try any one of these boxes, and while I’ll only be going over four types, you may be able to generalize these tips to other boxes as well! Let’s go over some steps you can follow to make your life a lot easier. 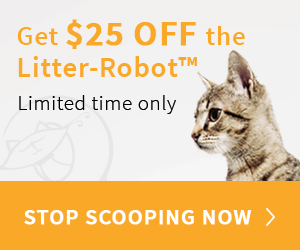 Set up the Litter Robot as you’re supposed to. Follow the instructions of course and keep everything unplugged. 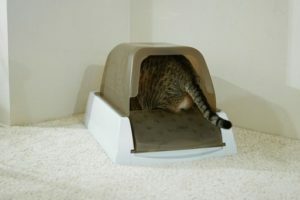 It’s a good idea to put the old litter box next to it though so your cat can properly adjust. Give your cat some time to investigate the new box for a day or two. Some cats aren’t naturally curious and won’t take a look, so try treats as a form of reinforcement to get them interested. Move some old litter or clumps from the old box into the new box. This ensures that your cat will have a familiar smell around them. To help your cat use it, you can place the box the Litter Robot came in on top of the unit and make a hole in it for your cat’s access. Let your cat use the box normally for the first time before you turn it on to clean. 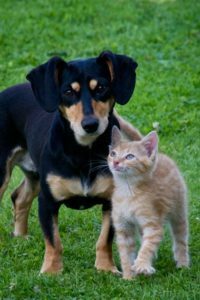 You can even have your cat in the room to watch, but be sure to comfort them with lots of pets as they learn how the machine operates. After a rotation, turn the machine off and let it sit normally. At this point, you can stop cleaning the old litter box to encourage them to use the new one. You can also remove it completely if you feel your cat is adjusted enough. 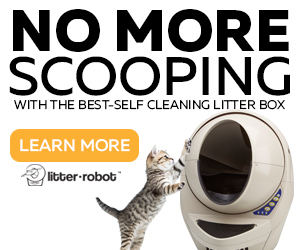 Finally your cat starts using the Litter Robot without a problem! Now you can turn it on and leave it in automatic mode. Of course there are situations when you have multiple cats. In these cases, leave the old box dirty to force those slower cats use the new box. They’ll end up following the cat that’s already using the box in time. Like before, place the ScoopFree next to the old box. You do need a cord for this box, so if your old box isn’t near an outlet scoot them both closer. Or try an extension cord. Leave both boxes for at least a week to give your cat time to acclimate. Put some clumps of litter from the old box into the new box too. Clean manually to start when your cat first starts using their new box. You don’t want to frighten them off if it starts working automatically. Stop cleaning the old box to get your cat to use the new one. After your cat begins using the ScoopFree all the time, remove the old box and set this new one to go off automatically. Choose the location and set up the CatGenie. Make sure everything is working right. Your cat can watch if you’d like. After set up, let your kitty explore. Put in some treats or catnip if they seem a bit hesitant. Let them go at their own pace while you sit back and watch them. As with other boxes, place the old box close by. Inch it closer, but do not put in the old cat litter like you would with other boxes. If you do that, the CatGenie will malfunction. Lave the old box dirty while they get use to it. Start with a few manual cleanings even if kitty isn’t using the new box yet. That way your cat will get used to the cleaning. 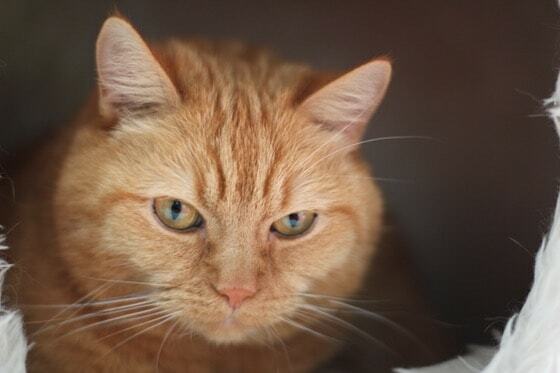 If your cat is skittish, start out with the door closed or with your cat in another room. Keep encouraging your cat with toys and treats around the new box. 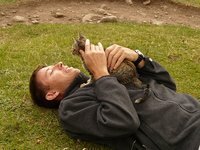 Pet your cat to encourage them as they get used to it. Remove the old box after consistent use and place the box in automatic mode. In this case, if you’ve got multiple cats, don’t put the old box back if one is resistant to the CatGenie. This will only confuse other cats. Let them adapt to the cleaning cycles at their own pace. Like other boxes, put the SmartScoop unplugged next to the regular box. Stop cleaning the old box right away. With this box you can pour some old litter into the new box. Try using catnip too in order to add appeal. After consistent use of the new box, get rid of the old box. When your cat’s been using the box for a week, you can use the automatic cleaning mode after plugging it in. Just be sure to use only the clumping litter here, since other types may cause problems. 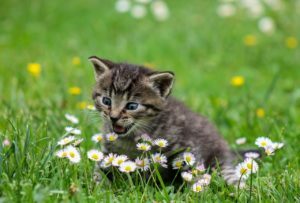 If your cat needs a transition, slowly reduce the amount of pine or newspaper litter until there’s only the clumping type. Be sure to keep it unplugged until then. No matter what type of automatic litter box you have, you can use these steps to help your cat adjust. It shouldn’t be hard to get them used to something new or automatic if you follow through. After you’ve gotten your cat using it regularly, your life will be a lot easier without consistent scooping!